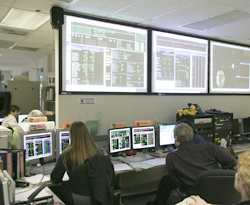 Commands for the New Horizons spacecraft originate from the Space Science Mission Operations Center at the Johns Hopkins University Applied Physics Laboratory in Laurel, Maryland. 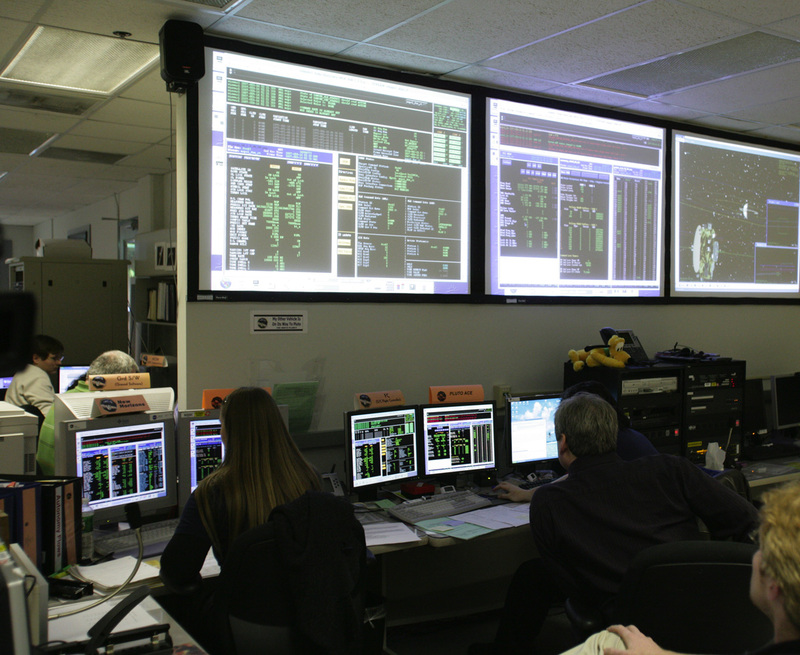 The first major order of business in New Horizons’ second annual checkout was accomplished as planned, as operators uploaded an upgraded version of the software that runs the spacecraft’s Command and Data Handling system. The mission ops team at the Johns Hopkins Applied Physics Laboratory (APL) in Laurel, Maryland, radioed the software load and the commands to start it earlier this week through NASA’s Deep Space Network of antennas to the spacecraft, now just more than 1.01 billion miles (1.62 billion kilometers) from Earth. In the next 10 days the team will beam up additional new software for both the spacecraft’s Autonomy and Guidance and Control systems. New Horizons is more than 200 million miles beyond Saturn’s orbit and more than 11 astronomical units (1.02 billion miles) from the Sun, flying about a million miles per day toward Pluto. Annual Checkout 2 (ACO-2) continues through mid-December; follow its progress through frequent updates on the New Horizons Twitter page.